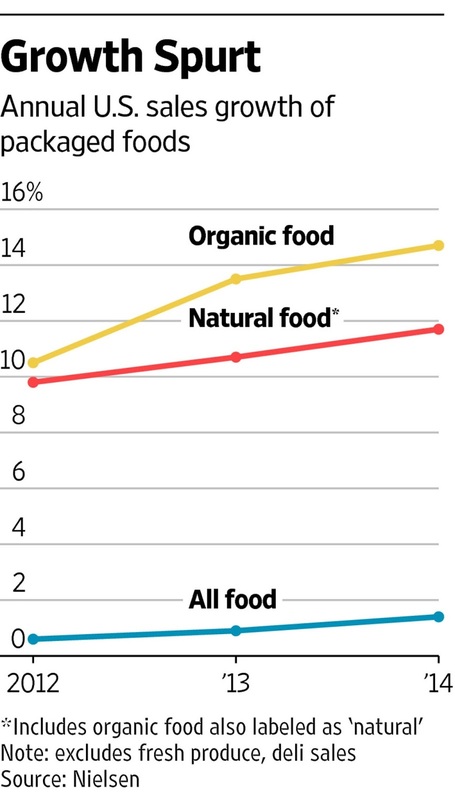 Organic-grocery stocks have seemingly spoiled after years of healthy returns. Whole Foods has made an average of 34% a year for stockholders over the past five years, including dividends, versus 18% for the broad Standard & Poor's 500 index of U.S. shares. But the outperformance would be even greater if not for the stock tumbling 26% year-to-date. 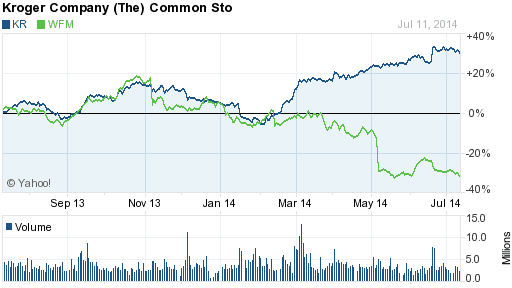 Whole Foods Market (ticker: WFM ) is not alone. Sprouts Farmers Market ( SFM ) is down 22% this year; Fresh Market ( TFM ), 15%; and Natural Grocers by Vitamin Cottage ( NGVC ), 48%. Investors looking for bargains in the group should shop carefully, because valuations remain rich and growth rates have slowed. Safeway Inc. (SWY): acquired by private equity investors led by Cerberus Capital Management in January 2015. The new merged company which includes the Albertsons supermarket chain has more than 2,200 stores which makes it the second largest supermarket chain in North America, after The Kroger Company, which has 2,625 stores. Whole Foods lowered its fiscal 2014 earnings guidance three times between November and May, and has fallen short of Wall Street's earnings estimates in its past two quarters. It blames rising competition and says it will focus on pricing. Whole Foods has plump profit margins and can afford to be more aggressive on prices, but that will cut into near-term growth. Wall Street expects the company to increase earnings per share just 4% in its fiscal 2014, which runs through September, versus 17% last year. Shares of Whole Foods, meanwhile, are cheaper—but not cheap. They recently sold for 25.5 times projected earnings for the next four quarters, versus a 10-year average of 30.4 times. That makes them 166% as expensive as the S&P 500, versus a 10-year average of 257%. Whether the reduced premium for the stock proves to be a good deal depends on how quickly Whole Foods can return to robust growth. Gamco, a mutual-fund company, has been adding to its holdings of the stock. Wall Street predicts earnings growth will bounce back to 13% next year. But analysts have lowered their price targets on the stock from an average of $63 at the end of last year to just under $46. Shares recently changed hands at $42.50. 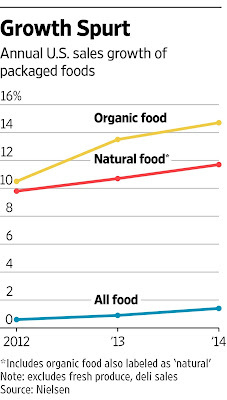 One thing that bodes poorly for organic grocers in general is that supply seems to be growing faster than demand. The top organic chains are expected to add 141 stores this year, bringing their total to 1,379, according to Credit Suisse. That compares with 963 four years ago--and it doesn't include a scramble among traditional grocers and mass merchants like Wal-Mart Stores ( WMT ) to add more floor space for organic foods. Investors have been willing to pay rich premiums for organic-grocery shares on the belief that the group has many years of fast growth ahead. Fresh Market goes for 21 times forward earnings; Natural Grocers, 31 times; and Sprouts, 40 times. Credit Suisse projects that the store count for the top organic chains will nearly double by 2020, topping 2,500. 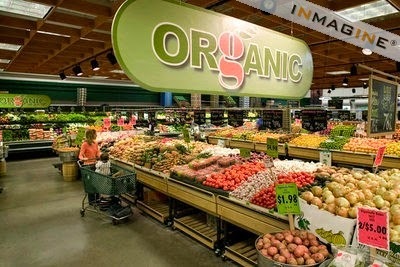 But that could be more selling space for organics than customers need. The Nutrition Business Journal estimates that spending on natural and organic foods will grow at a compounded average of 9.6% between 2011 and 2020. But square footage for those goods will rise at an average pace of 11.5%, according to Credit Suisse. That suggests rising competition to come for organic grocers—a boon for health-minded shoppers, but not necessarily for shareholders. Falling share prices could eventually yield some bargains. Credit Suisse on Thursday upgraded Sprouts to Outperform from Neutral. In a note to investors it explained that while shares are still expensive, the company has better growth prospects than rivals, because it focuses on middle-income shoppers rather than upper-income ones, where competition is more crowded. Sprouts has a unique strategy of pricing produce aggressively to lure shoppers, whereas other chains discount packaged foods and keep produce prices high. The company's earnings per share are expected to rise 38% this year to 66 cents—and to hit $1.39 by 2017. But shares already sell for an ambitious 22 times the latter figure. All told, organic stocks have gotten more attractive this year, but like the stores, they look likely to offer better discounts from here.